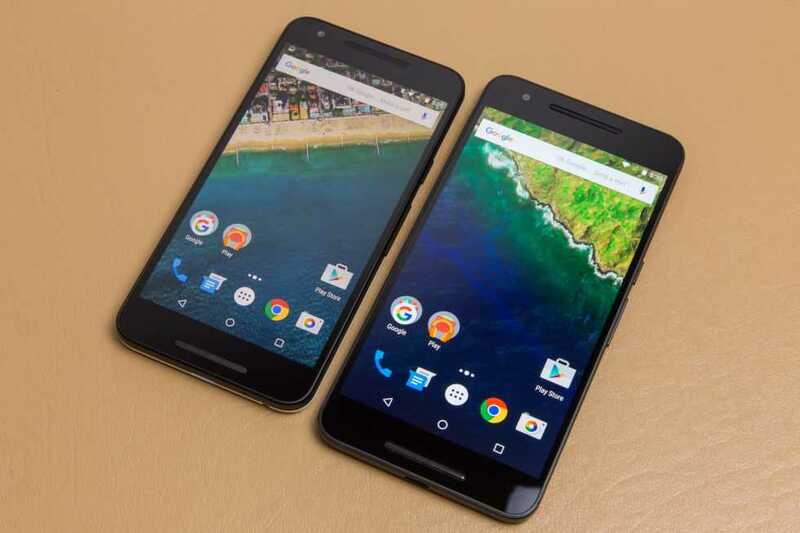 Google unveiled two smartphones in 2015 – the flagship Huawei Nexus 6P and the mid-ranger LG Nexus 5X. These two devices have been hailed as some of the best in the market, with more praise being singled out for the Huawei-made Google Nexus 6P thanks to its excellent design and powerful spec sheet. These two devices marked the launch of Android 6.0 Marshmallow operating system, which is Google’s tradition when it comes to unveiling a new Android OS. This year is the turn of Android N. This OS has already been availed, but it is still in developer preview. It is unusual to have a developer preview version of Google’s Android OS before May’s Google I/O developer conference event. Traditionally, the search engine giant has used this event to unveil its developer preview versions of the Android OS; however, 2016 is a different year altogether. It seems this year will see the developer conference used to unveil the stable version of the new Android N.
According to reports, the debut of Android N will be accompanied by successors to last year’s Nexus 5X and Nexus 6P. As mentioned earlier, LG and Huawei were responsible for last year’s devices, however, it seems this year will see LG take a break and instead HTC come into play alongside Huawei. Nothing about this report has been confirmed, though. Huawei packed the flagship Snapdragon 810 SoC in the Nexus 6P while LG went for the slightly less powerful Snapdragon 808 SoC. This year’s flagship chipset is Snapdragon 820, which is what is expected to power the Google Nexus 2016 flagship. However, there is no word on what to expect for the mid-tier version, but it might probably pack a Snapdragon 818 SoC. There are rumors that Samsung might install a Snapdragon 823 in the Galaxy Note 6. Even though Qualcomm has not confirmed the manufacture of this chipset, don’t be surprised to see Google pull the same stunt as what Samsung is being rumored to be working on. There are rumors that Google might for the first time introduce waterproofing capabilities on the Google Nexus 2016. In addition, Android N will integrate support for 3D Touch-like features, something that is fueling rumors that the Google Nexus 2016 will come with a pressure-sensitive touch screen. With photography already a crucial aspect of today’s smartphone buyers, the Google Nexus 2016 is expected to keep the same megapixel count as last year’s Nexus 6P. We might probably see OIS and other camera features such as dual-tone LED flash and laser autofocus on board the Google Nexus 2016. What would you like to see on the upcoming Google Nexus 2016 phones? OLED screen, USB 3.1, fingerprint scanner, resolution reduced to 1080p for killer battery life. I’m looking for what my Galaxy S5 has already. Water resistance. Fingerprint scanner. Swappable battery for infrequent (but important) long business travel days. Wireless charging for when I’m home/office/car. Swappable storage (SD card) to facilitate personal and work life needs. And it’s about time – how about those flagship specs offered in the 5″ version? Men have to carry their phones in their front pants pocket, and it’s tough to describe the discomfort sitting, riding a motorcycle, etc, with an unnecessarily large phone commandeering (and often poking right out of) my pocket. And let’s not forget about the battery life penalty of a larger screen. As a professional, I want flagship specs – but I want a reasonable size. 5″ is that size.